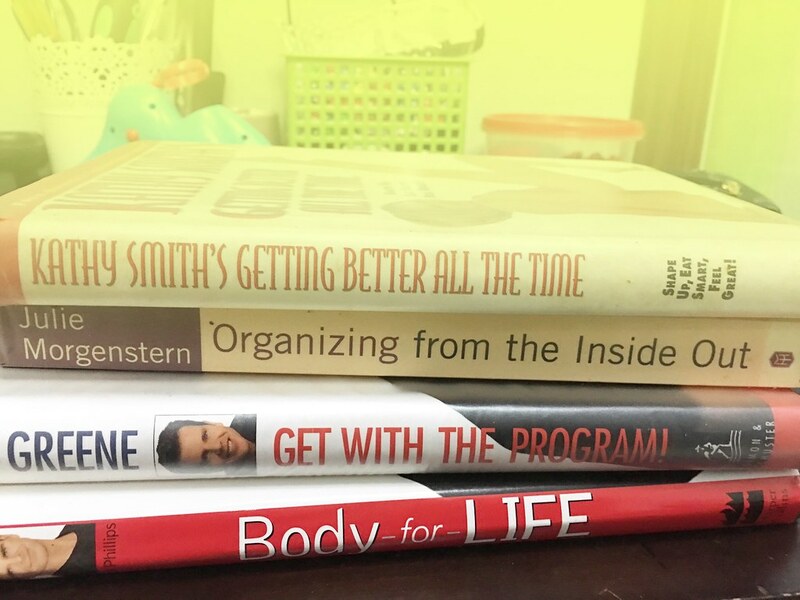 Ever since I've finished reading Getting Things Done and Better than Before books this year, I have the sudden urged to read more motivational and fitness books. I realised that I have a lot of those books in my collection which are currently collecting dust on my bookshelf. I have not touched those books in a really really long time. Those were great books back then. I have pickup five books from my shelf that I wanted to reread this year. I am currently rereading this book and I left the book at the office today. It's one my favourite time management book. I know that she has a system in place something like Kindergarten style which back then I think works great. Can't wait to rediscover the system. I read this book first before Time Management from Inside Out and I fell in love with Julie Morgenstern approached which I think makes more sense to me in terms of organising. Can't wait to reread this book again. 3. Kathy Smith's Getting Better All the time My all time favourite fitness instructor in the early 90's. Love her enthusiasm and her philosophy on fitness and over all healthy lifestyle. I owned almost all her books and her workout VHS / DVD. She was the reason I was obsessed with fitness in the first place. He was Oprah's fitness instructor back in early 2000. I do remember reading the book, make notes and probably try a few suggestion but I don't remember if I stuck to it. I think I last read this book back in 2002 when I was super busy with two small children. Amazing how I have the time to read books when there was no smartphone. 5. Body for Life by Bill Phillips I literally can't remember why I bought this book and if I've finished reading the book. Maybe in the early 2000 I was going through a phase where I have to buy every fitness book out there. Maybe I've seen Bill Philips on TV somewhere or maybe he was a fitness coach for celebrity and was inspired by his teaching method. Can't wait to reread and discover the reason why I picked up this book in the first place. There you have it, five books I have choose to reread this year. I hope I can get to all of them this year. I know that some of the method and the philosophy in these book are still relevant. I wish all of this books made into ebook, I would have love to add them to my digital library.